A blockage can be a great inconvenience and can add a huge amount of stress to your day, which is why we guarantee a response time of 2 hours to ensure that you receive minimal disruption to your day, leaving you to relax knowing that we’ve taken care of the issue. We are on hand 24/7 and more than happy to provide advice and help on any personal drainage problem. If you’ve spotted a problem and you don’t know what to do, call our experts for some friendly guidance and a free, no obligation quote for our many different services. Our team are able to assist you with any blockage complication or service you require. We understand how important your safety and your time is, which is why we make sure all our vans are kept up to date with the latest equipment available. With a team of fully trained and qualified locally based drain engineers, we pride ourselves on being a leading emergency plumbing service, and are always ready to tackle any emergency and non-urgent service you may require. With years of experience behind us, the team can find the root cause of the problem and amend the issue swiftly and efficiently with the least fuss and disruption possible. Sometimes you may have a more serious structural problem with your drainage systems, which require more investigation than others. Our team is fully supplied and ready to determine the condition of your drains using the latest CCTV technology. Once an investigation is complete we offer clients a full report of the findings, as well as advice on how to proceed with the task at hand, should any defects be discovered in the investigation, and a free quote for the price of the job. Flooding at your property can be incredibly stressful and inconvenient which is why, if you notice something that’s not right, you should call Blocked Drain Manchester straight away. Ignoring a problem never makes it go away and over time it will worsen, leaving you with more lasting damage that could have been prevented by acting straight away. 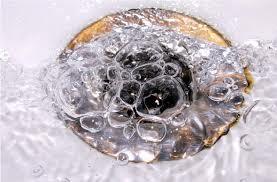 If you notice indicators such as water draining slow, bad odours, or rising water levels, contact us as the likelihood is that you have a blockage. Calling drain blockage service means you can have the problem fixed within that same day with no fuss, saving you time and money in the long run. If you are unsure about anything, call us today and speak to a trained advisor who will offer you high quality help and advice. Whatever you need done, whether it’s repairs, maintenance, CCTV surveys, or if you need something unblocked, call our team today for a professional, trustworthy drain engineer, and we’ll guarantee fast response times, high standards of work, and great low fixed prices. 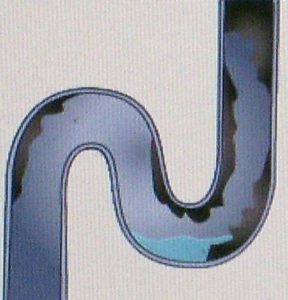 If you’ve got something wrong with your drainage systems, don’t hesitate to call us today and let us take care of the problem. There are a number of reasons you could find yourself with a household blockage, and finding yourself in this situation can put a halt on your day and cause you a significant amount of stress and pressure. The team pride themselves on being able to solve your plumbing or drainage problems quickly, efficiently and with the service attitude that will make you glad you called. Almost every homeowner will have experienced some form of blockage within their home. With years of experience within the drainage industry, the team are fully capable of spotting the most common and probable causes of such blockages. Drain Unblocking Manchester have put together the following information listing the most common causes of drain blockages, so that you’re able to spot the tell-tale signs before they have a chance to worsen. Grease and fat – Nasty grease and fat from coking will surely block the drain. eat healthy and avoid the oil. Foreign objects – chucking down any old object will block the sink so do not think you can throw a plastic bag down the sink. Take notes of these handy tips from Blocked Drain Manchester and you will have great drains that do not get blocked..